Below you can read testimonials from people who have attended Martine Moorby’s Reiki Evolution Reiki training courses in Harrogate, North Yorkshire. “The Shoden course in Harrogate with Martine Moorby was excellent in every way. I appreciated being able to read through the course manual beforehand, and was impressed with the professional way in which it had been put together. The CDs were also very helpful, and by the time I attended the course I felt that I understood the basics. From the moment I arrived at the venue, I felt relaxed and welcome. So much so that none of our group chose to leave the venue at lunchtime. We were all enjoying the calm and positive atmosphere too much. Martine is truly gifted as a teacher and guide. I enjoyed the whole experience so much that I have already booked onto the level 2 course with Martine. “The course I recently attended with Martine in Harrogate was everything and more than I expected. Martine’s gentle, humorous delivery allowed us all to relax and feel comfortable together. Martine was inspiring and and her depth of knowledge fantastic. The day ran smoothly, the amount of information just right. Everything was covered and delivered at the right pace. The pre course material was not daunting, easy to follow and provides enough information to give confidence to carry on learning at home. “Course Materials: This worked very well as I felt pretty well informed before I had my Reiki Level 1 Live. It works really well to have CD’s as well as reading material. These of course are just as helpful after the course for reference and to re-affirm things. 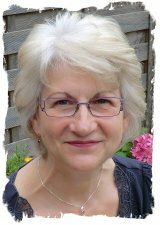 The Live Course: Martine is extremely knowledgeable and very experienced in Reiki. This was very re-assuring for me. Martine’s energy and enthusiasm made the day relaxing and enjoyable. My thanks to Martine for being an inspiration. I have been making my way towards Reiki for some time now and I am so glad I found it. “I would like to tell you that i enjoyed my first degree training with Martine, she was very friendly and made me feel at ease straight away. I think the way that way the course is put together is very good, its definatley useful to do the back ground reading and listening before attending the day, so that you are able to just concentrate on the practical side of it on the day, without having to make notes, and so forth, And feel in a rush to take it all in. I think the mediatation Cd is very useful, as it guides you through the process, without having to concentrate how long you have been on a particular stage, it just guides you through it effortlesly. Your voice is very soothing too!! “I attended the reiki 1 course held at Harrogate on 20th March with Martine Moorby. I couldn’t have asked for a nicer, more friendly teacher to introduce me to reiki. Her knowledge of the subject gave me confidence in what I was learning and the motivation to learn more, including having a practise on my friends! So far I have good feedback! I found the learning material prior to the live course extremely useful and fulfilled my needs as a learner, being able to study the theory at my own pace and then be able to put into practise what I had learnt at the live course, rather than being bombarded with information on the day. “My Reiki Evolution 1st degree course went very well. Martine taught in a cheerful, relaxed manner, relating closely to the course manual. The materials were despatched in good time enabling ample opportunity for preparation for the live course. It was a busy day and yet I did not feel rushed at any time – all my queries and bumblings were dealt with fully. ”Course materials, as Reiki 1, are excellent and very easy to refer back to when you need to refresh your memory or check something out. The information about setting up as a Reiki practitioner is particularly helpful. The hands on day was again very enjoyable and Martine focussed on our needs as individuals. Also, many thanks for the follow-up information with leaflets and logos – this is such a great help. I am so impressed and thankful for Reiki Evolution. It’s great to have someone like you Taggart, who is so knowledgeable and professional and who also has the grace to pass this on. “What did I think of the course content? Since I have no previous experience or knowledge of Reiki this is a difficult one about which to be entirely objective. However, the two things that attracted me to join Reiki-Evolution rather than any of the many other “Reikis” was your return to the purity and simplicity of the original teachings and the lack of any hint of ego on your site. On that basis the content was much as I expected it to be. Did the course meet my expectations? Yes. I expected it to have a very professional and comprehensive approach and it did. What did I think of the course materials? I spent the last 25 years of my working life as Training and Development Manager in a large engineering concern and must have seen just about every training approach there is to see so, what did I think about yours? Impressive; as befits a manual going to a new and, as yet uninformed learner, it is written in a clear, straightforward and easy to understand manner (the Plain English Society would be proud of you!). The presentation of the manual allows the reader to maximise their own learning style and set their own pattern of density of learning without any need to compromise and the detailed contents index allows very easy and frequent “reminder dipping”. What are my comments about the live training, and my teacher? I did the live course and so have experienced both the teacher and the home study training. The combination worked very well indeed. The home study provided a firm foundation for the live day and made the time on that day completely productive. My tutor was Martine Moorby and she was exactly what I expected after reading her background. She has a gentle, easy going approach that settles a group very quickly and encourages a high level of interactivity. With a first level group it’s easy to let the subject matter drift out of their comfort zone but Martine avoided any chance of that by keeping all explanations clear and simple. As well as being very informative the day was also a hugely enjoyable experience.How do I think the course could be improved? I think it unlikely that you could improve the course significantly in any way. Venue and/or environment can make or break an otherwise good course. In this case the room was just the right size for the group and was light, calm and comfortable and very conducive to easy learning. As soon as I have finished this e-mail and sent it I shall be booking for Part 2 – doesn’t that say it all! “I would just like to start by saying that I am so glad I found your website and didn’t book my Reiki course through one of the other websites I looked at. I really can’t find anything negative to comment on I thought the content of the course was in depth and easy to understand and it exceeded my expectations of what I thought it would be. Its a very good idea to send the manual and CDs prior to the live course as it gives an idea of what we can expect on the day and also some background knowledge on the subject. I practice the daily energy exercises with the CD and the more I practice the more energy I can feel. My partner has a sinus problem which means he snores really badly and I used to be hours getting to sleep but since I have been practising Reiki on him and also the daily energy exercises he hardly snores at all and I have been sleeping really well!! What did I think of the course materials (manual and CDs)? – really enjoyed the clarity of both and the slight informality of style – it felt like having a chat! Highly useful and I will be referring to them many more times to come – truly a learning tool. What are my comments about the live training, and my teacher? – the live training expanded on the home study, and the hours spent doing home study prior to the course are vital to gain the most from the day, I feel. Our teacher was welcoming, encouraging, engaging and supportive – couldn’t have asked for more. The combination of home study and live course really does set you up to succeed and grow in confidence. “What did I think of the course content? – My experience from Reiki 1 gave me high expectations – they were very well fulfilled. Did the course meet my expectations? – Yes. I expected it to have a very professional and comprehensive approach and it did. What did I think of the course materials? – Manual every bit as good as the excellent Shoden manual. What are my comments about the live training, and my teacher? – I did the live course and so have experienced both the teacher and the home study training. The combination worked very well indeed. The home study provided a firm foundation for the live day and made the time on that day completely productive. My tutor was Martine Moorby and she was just as good as she was on Reiki 1. The same gentle, easy going approach that settles a group very quickly and encourages a high level of interactivty works at every level. Another highly informative and hugely enjoyable day. As you know I have already enrolled in the second degree course as I would like to be able to work on other people and to progress through the Reiki methodology more – my primary aim in the short term is to self heal and then I will feel happier knowing that if I am ok then whoever I treat will also benefit. Course materials: When I opened the book I was initially put off as it did look heavy going, so I took my time and read an hour or so a day, looking at it now, it isn’t at all! – the practical exercises were good and the pictures were self explanatory and very easy to follow imo ! I did like how you had put feedback from other students – it was nice to know about some of their experiences and what their findings were – even from some who had no reaction – important to show that as we all, I guess want obvious results when in reality it may not be the case for some students but it is for their clients. CD – as you know one was faulty however you immediately rectified that :o) … one thing is your voice is SO hypnotic! I would lay in bed initially to listen to them and would fall asleep! .. happened a few times! ”As requested here are my comments on my Master/Teacher course with Martine. Course content – Certainly plenty of it. A lot to learn but well presented both in the pre-course material and on the live two days making it reasonably easy to “link and follow”. As you know from my comments on the previous courses I spent over 20 years in industrial training management and so I admit I do take a bit of pleasing. However, once again the content, presentation, depth and phasing were just about spot on. I can offer no suggestions for significantly improving the course right through from 1st degree to Master. Thank you for introducing me to the Usui Reiki system and for the changes it has brought into my life. ”I want to say that I thoroughly enjoyed the course with Martine. The venue was comfortable, central and easy to find. I found Martine to be a very pleasant, knowledgeable practitioner, and happy to answer my numerous questions. She fostered a comfortable and friendly environment where I felt comfortable in treating the other student there, despite having only practised on my husband before the course! Before the day of the course, I had assumed I had very little intuitive ability. But Martine encouraged me to recognise the intuitive ‘flashes’ I had during the course, and to build on these in the future. The day was a good mixture of theory and practical activity and Martine was very thorough in her teaching of the course materials, and of the practise of Reiki. One other important thing is that Martine encouraged us to contact her with any questions or concerns we had following the course, or any matters we were uncertain about in our future Reiki practise. She also invited us to participate in the Reiki shares that are held in Harrogate at monthly intervals, where people can meet and discuss ideas and practise Reiki techniques in a friendly environment. I would have no hesitation in recommending Martine to potential students of Reiki at all levels. I received both level 1 and level 2 texts and CDs well before the course I attended, and had a chance to read through them beforehand and practise a few of the suggested techniques before going to the live training day. I have found all the materials to be excellent sources to refer back to and to re-read regularly. I practise one of the meditations every day, as well as Hatsurei-ho. I also try to self treat regularly, using some of the therapeutic positions recommended. I can’t think of any way the course could be improved on at the moment, as both the course materials and I’ve training exceeded my expectations. “I attended my First Degree Reiki course in Harrogate with Martine Moorby. The pre-course materials were superb; a comprehensive preparation especially in terms of background and theory which prepared me extremely well for the actual training day. I found the meditations particularly useful and I am continuing to do these regularly. Martine is an outstanding tutor. The atmosphere was relaxed and fun. She has a superb sense of humour which puts people at ease. She communicates information in a way that is easy to understand. Martine has a wealth of knowledge about the subject, as well as a clear understanding of how to deliver information; always confirming that we were actually learning what she was teaching us. The day was very practical and this reinforced my learning and prepared me for practising my new learning outside of the classroom with my friends as volunteers. All in all this was an amazing experience for me. The course met my learning styles and I am very grateful to have been referred to Reiki Evolution. I am finding that the self healing exercises are having an increasing impact on my thought processes and this is helping me to be calmer, kinder more relaxed in general. “I am very impressed with the content of your course, I have studied to Master level with another tutor and yours is far superior in content, and in particular like the way that you teach and express yourself. After reading the 1st degree manual I honestly felt that for the first time that I could talk to someone about Reiki, describe what it is and where it came from, I have not felt the confidence to do that before. The course exceeded my expectations as my previous tutor did not provide a manual and often said “google it”. I loved the fact that I received all the manuals and cds so that I could study and practice before the training day which meant on the day I knew what to expect and what my tutor was talking about. Martine was very professional but also very welcoming, she asked thought provoking questions and we had a laugh as we worked our way through the day.She answered all my questions clearly, her teaching style is relaxed but focused and by the time I was returning for my second day I felt I was returning to an old friend. Martine also gave me the wonderful opportunity to go and observe her teaching a First Degree class, which was very helpful to me as I prepare to teach others.I will be taking up the offer to use your manuals for my students because I am so impressed with them, I had started to write my own after my previously training but was struggling with how to do it and what to say. Delighted to give you feedback. I found the content of the course interesting & uplifting & illuminated for me the wonders of Reiki. I wasn’t sure what to expect although I had done some background reading before your materials arrived. My hope for the course was that I would gain a better understanding of Reiki & learn skills & techniques which I could us in my own life & for the benefit of others. Your course met these expectations & I have experienced a different outlook on life – thank you. My teacher Martine was great & we really had a connection. The whole experience was one that I will treasure, it was also very useful to meet the other students. What did you think of the course content (Master/Teacher course)? The info provided was really enlightening and although it did take me ( as you had instructed) hours to undertake the conversion, this journey was hugely beneficial as it provided much a lot of missing detail and context. In addition the way that Martine delivered the course was actual the highlight as she worked at my pace and was able to answer all my tricky questions even if on occasion outside of course content. Exceeded these and I believe my own development was enhanced significantly during this journey. Martine was brilliant and enabled the home study to sink in. “I had a fascinating two day RMT live course with Martine. Friendly & welcoming. I was provided with an environment to flourish, any questions or queries I had were answered, Martine showed me that I am more intuitive than I think & I feel confident continuing my exciting, & for me, personal lifelong journey with this wonderful healing energy. Thanks Martine. “I have recently completed my first degree with my sister with Martine in Harrogate. What a wonderful experience. the day was well paced, relaxing, social. Martine explained everything extremely well and there was plenty of opportunity to ask questions. the content was adequate and interesting. It certainly met with expectations, I invisaged a classroom setting but it was so much more relaxing and enjoyable than expected. The course material was good, I much preferred the audio to the manual personally, I learn better this way. I love the precepts. I cant imagine I could find anybody better to train me than Martine. she is relaxed, passionate, knowledgeable and committed. Tea and coffee flowed in abundance (with biscuits) and the venue was warm and comfortable. It was fantastic to find Saturday training, many only hold course on weekdays when I am working.